This naval officer, killed by some of his own men, was honored after death by others who realized that, although an aristocrat, he had been a true patriot. 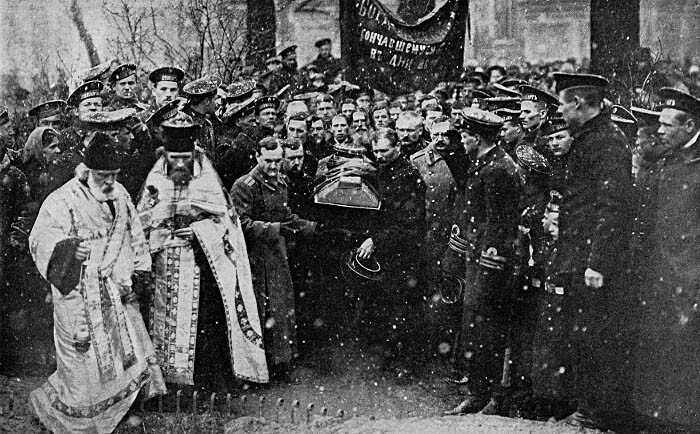 In spite of threats made by some of their comrades, these sailors accompanied the body to the grave with ceremony and repect. This is one of the rare instances where an officer, having been killed by his own men, was given a decent burial.